Hillary has been singing her entire life. Continuing her love of singing and music, Hillary earned her Bachelor’s Degree in Music Education from Utah State University where she was endorsed to teach both secondary and elementary music. While at USU, Hillary sang with the USU Chamber Singers under the direction of Dr. Cory Evans and she also worked with the Cache Children’s Choir in partnership with Jill DeVilbiss. 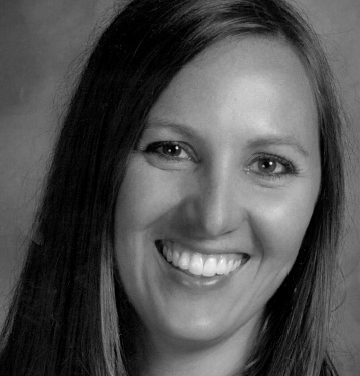 Hillary is Level I ORFF certified and was the Choral Director at West Hills Middle School for five years where she built a thriving, superior-rated choir program. While teaching at West Hills Middle School, Hillary worked as a co-conductor for the Young Choral Artists—a branch of the Salt Lake Choral Artists, until 2013. In 2013, Hillary co-founded the Jordan Youth Choir (JYC) with the help of supportive parents and the South Jordan Arts Council. She works as CEO and Artistic Director and conducts all of JYC’s choral groups. Hillary has continued to be an active singer herself. Prior to singing with the Utah Chamber Artists, she sang with the Salt Lake Choral Artists, under the direction of Dr. Brady Allred. Hillary currently works as a counselor at Copper Mountain Middle School for her “day job”. Counseling is another deep passion of Hillary’s and she is thankful to be able to work with amazing kids every day—whether it is in the school or through JYC!